Nashville Homecoming features more than 250 of gospel music's finest voices and pays tribute to the legends who paved the way for gospel music as we know it. Most importantly, it celebrates the Good News that remains forever relevant in our ever-changing culture. 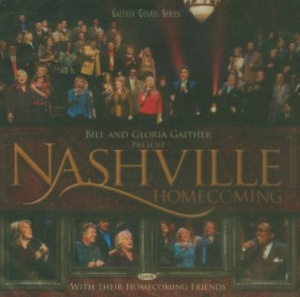 Nashville Homecoming by Gaither Homecoming was published by Gaither in November 2015 and is our 14401st best seller. The ISBN for Nashville Homecoming is 0617884272821. Be the first to review Nashville Homecoming! Got a question? No problem! Just click here to ask us about Nashville Homecoming. Now Playing: The Hallelujah Side Your browser does not support the audio element.